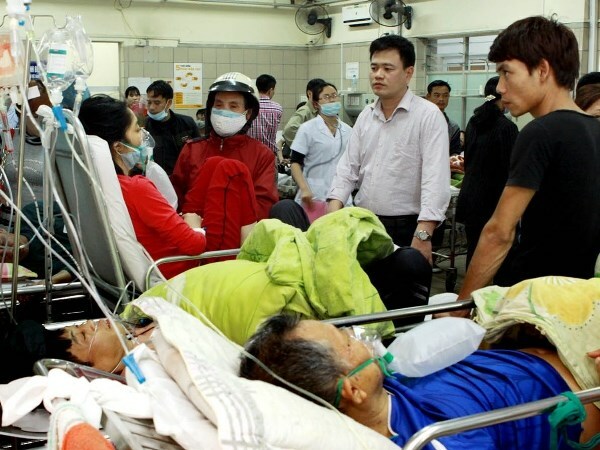 HA NOI (VNS) — More than 2,000 beds have been provided to Central-level hospitals to help deal with patient overload so far this year, the Ministry of Health reported. The move was also aimed at realising the ministry's commitment to cut the bed overload, especially at hospitals, such as the Viet Duc Hospital and Vietnam National Hospital of Pediatrics in Ha Noi and the Thong Nhat Hospital in HCM City. According to the health ministry, 23 out of 38 Central-level health care facilities across the nation and another 18 hospitals in HCM City had committed to not forcing two, three or four patients to share a bed. To that end, the Director of the health ministry's Medical Examination and Treatment Management Department, Luong Ngoc Khue, said the ministry would continue building, improving and expanding hospitals to boost the number of hospital beds per 10,000 patients. "In addition, the ministry will focus on developing and maintaining the operations of 14 nuclear hospitals and 46 satellite hospitals; increasing the network of family doctors," Khue said.